When searching for an exciting team building solution for their annual retreat in Whistler BC, PlentyOfFish discovered the perfect fast-paced, hosted event – The Amazing Chase. Find out why they continue to partner with our team and have chosen The Amazing Chase for their retreat four years in a row. Four years ago, PlentyOfFish connected with our team in search of an exciting outdoor team building activity that they could easily do during their annual retreat in Whistler, BC. Always on the lookout for new, creative ways to collaborate, they wanted a solution that would allow their group of over 60 employees to get to know each other outside of the office. The organizers were also hoping to leave the facilitation of the event to someone else, so that they could sit back and enjoy the fun. As a hosted, outdoor event, The Amazing Chase was the ideal solution. It allowed PlentyOfFish to experience Whistler as a team, and helped them get creative and have fun – without the hassle of planning or running the event themselves. As teams worked together to complete a variety of challenges, each group had a chance to use their creativity and let loose. 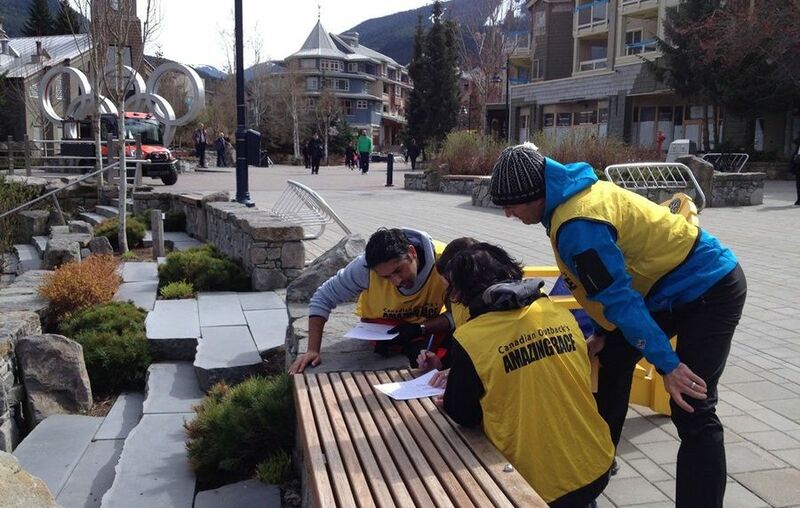 With a location-specific Amazing Chase course, the group was able to get outside and experience Whistler Village as a team. Employees had the opportunity to work with colleagues that they don’t normally get to interact with, and they were able to get to know each other outside of the office. After handing the reins over to our team, PlentyOfFish got to relax and enjoy the event.